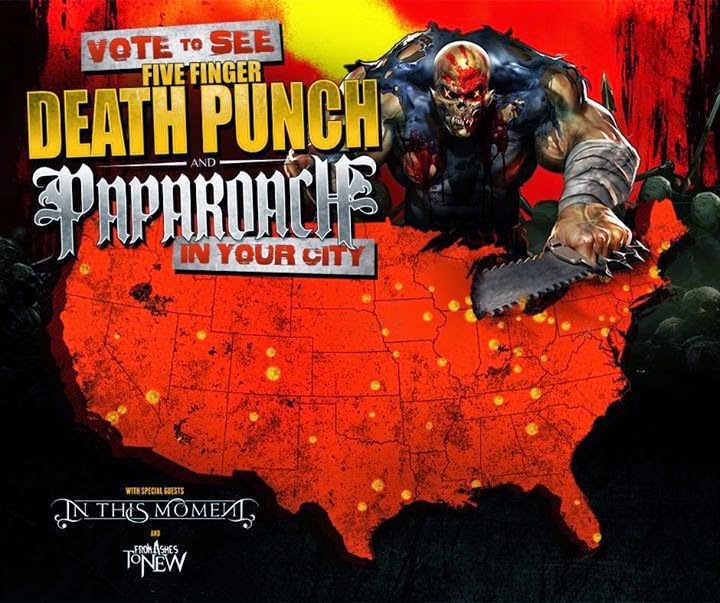 TOUR ANNOUNCEMENT: Five Finger Death Punch + Papa Roach are headed out on the road for a co-headline tour this Fall and we want to hear from YOU! Vote for your city NOW at the link below and help bring this Fall's biggest tour to your city! Each week, the top voted cities will move on to the next round until the final routing is revealed on May 19th!